SC Inspector, LLC, Home Inspection Services has been inspecting homes and commercial properties in the Greater Greenville, SC area since 2003. We proudly serve the South Carolina Upstate, including Anderson, Greenville, Laurens, Spartanburg, Greenwood, and surrounding areas. "Our Experience, Your Piece of Mind!" What could be more exciting than buying a new home? Buying a home is one of life's biggest decisions. Your home purchase may be the biggest investment you'll ever make. 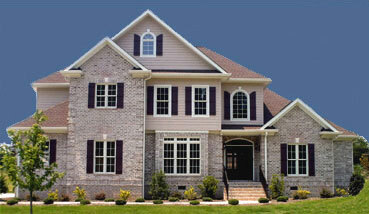 The home buying process home can be stressful and overwhelming. Before you close, you'll want a professional home inspection to determine its true condition. This is why you need a thorough home inspection by a licensed and experienced home inspector. Our home inspectors are ASHI® certified to perform inspections that meet or exceed the National Association of Home Inspectors and South Carolina Home Inspection Standards. Our inspection report is comprehensive, yet easy to understand. Photos are used where needed to help clarify the inspector's concerns. We are licensed and insured. It is our goal to discover and inform you of anything we find which may affect your decision to purchase, and to also make recommendations on any necessary repairs and maintenance suggestions. Having an experienced, and certified Home Inspector on your team is a valuable resource for your clients. Be certain before you buy. Have peace of mind about your choice in a new home for your family.